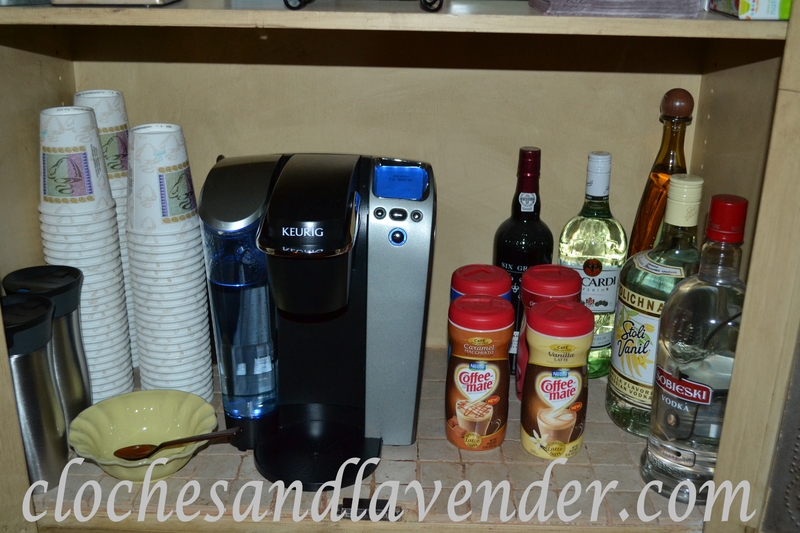 To continue my coffee bar transformation from yesterday’s post, today I’m talking about the inside. 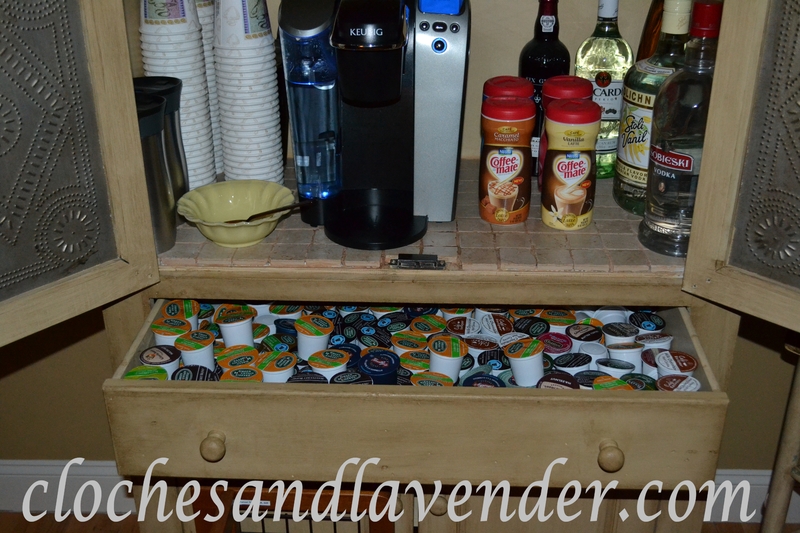 Once we had begun working on the new color and fauxing John and I came up with the idea to make this piece into a coffee bar to hold our Keurig machine and liqueurs. I thought that was a great idea but I didn’t want the bottom of the cabinet to get ruined, so we decided together to tile the bottom inside. I think it turned out pretty well for our first tile job. 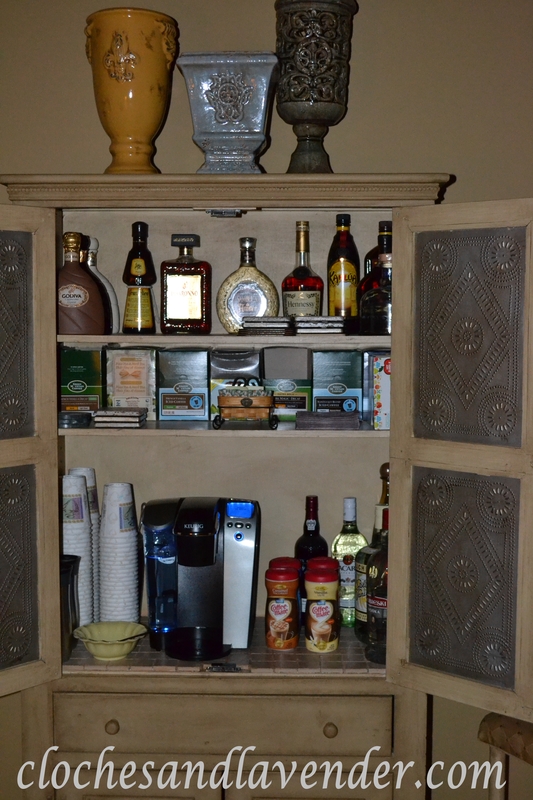 I am even happier that I decided to age the cabinet heavily since we turned it into the coffee bar it just works and it looks like it really has been around a long-time. When I think about it 20 some years is long. I am very happy with the outcome of this project. It turned out just as I envisioned. Love the tile! Just a great touch! Thank you very much it was a fun project but a long one. Check out the rest of the page and see more of my fauxing in my Dining Room and Kitchen. I will follow you. I love coffee, I’m so jealous, this looks fantastic! Hope you share on Simple & Sweet Fridays. Everyone will be wanting one! Thanks for stopping and visiting, always good to hear from you. Thank you so much. I will post this on there. I can’t find the party. This was such a great idea for the cabinet. Putting the tile on the shelf was practical and pretty. You couldn’t find a better cabinet in any store for any price. I am really impressed! 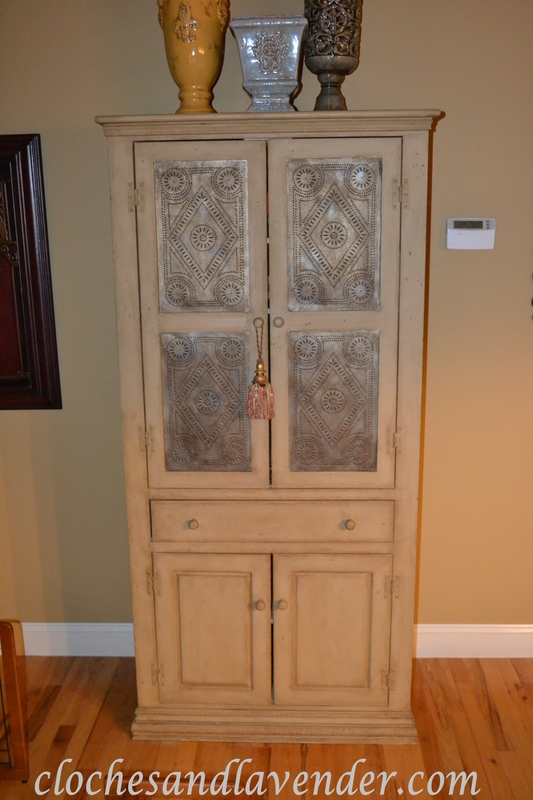 Love what you did with the cabinet – very nice! Wow! I love what you did with your pie safe! It’s fantastic! Everything is very neat and organized. I’ve taken a look around and love what I see so I’m a new follower. oh, it’s super cute! I love it in the pie safe…very clever!